Jo is Available to Speak with YOUR Organization! Jo tours the country addressing student groups, conferences, churches and temples, the Jewish Book Network, book clubs, service organizations, staff and volunteers with the Anti-Defamation League, and alumni gatherings. She talks about racial relations, using stories from The Outskirts of Hope as a starting point. And she shares her family’s experience regarding what it has been like having a transgender son in a world not quite ready for people like him. The battles of the civil rights era left us with laws that promised equality to all, a level playing field. But while we have made progress in that direction, the field is still far from level. When people talk about racial tension today, the discussion typically moves to the uncomfortable tragedies in which someone attacks an African American, and to the ensuing backlash. Unfortunately, such incidents didn’t stop after the civil rights movement; it’s just that the greater transparency available to us today through the use of cell phone videos and the Internet have heightened our awareness. With that increasing awareness comes a greater willingness to take action. This is the civil rights movement of today. 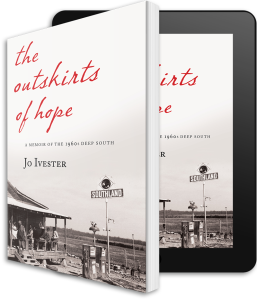 Jo recounts the two years her family spent in an all-black town in the Mississippi Delta during the turbulent 1960s. Through sharing highly personal stories about their experiences, Jo makes the civil rights movement come alive and inspires her audiences to make a difference. Moving seamlessly between the 1960s and the present, Jo encourages people to recognize the problems we still face and how they can help. In this presentation, Jo discusses Tikkun Olam, the Hebrew phrase meaning “repairing the world,” and how it motivated her father’s devotion to President Johnson’s War on Poverty. Jo walks her audience through her family’s experience as the only Jewish family in town, reflecting on how they were met with anti-Semitism, despite the tradition of Jewish involvement in the civil rights movement. The exploration of the transgender world is a hot topic. The most recent estimate is that there are about 2 million transgender people in the US. And there is a growing realization for many that they know someone who is transgender. Interest has been heightened as politicians throughout the country have introduced “bathroom bills” that discriminate against transgender people. Teenage transgender individuals are among the most bullied and marginalized of anyone in our society, contributing to an extraordinarily high attempted suicide rate; 41% of all transgender teens have tried to take their lives, over ten times the rate of other teenagers. 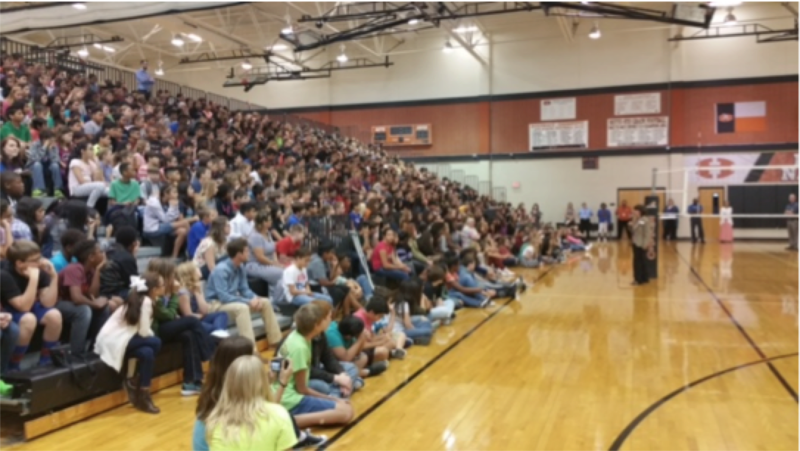 Ivester’s commitment to and energy for speaking engagements, educational outreach, conferences, and social media can make a real difference building awareness even in people who don’t yet know they are unaware. A look at what it is like to have a transgender son in a world not quite ready for people like him. Jo describes her son’s experiences going back to early childhood when he first showed signs of being transgender. By sharing stories about Jeremy, Jo helps her audiences to become more comfortable with transgender individuals and challenges them to recognize the discrimination this community faces today.